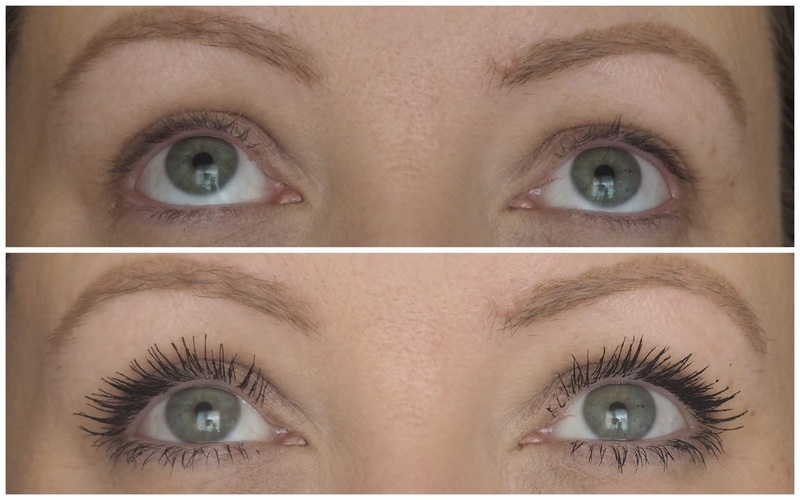 Mascaras are my favourite things to test out because the photos always speak for themselves. And usually I'm the queen of the budget mascaras, but I'm not going to lie, I was disappointed with the affordable launches last year, so when I was going through my favourites of 2018, I had two budget favourites and a whopper six high end favourites. But fear not, because 2019 is shaping up to be a good one for those who love a bargain, who like trying new mascaras and who want gorgeous lashes. Now I'm not sure if these two have launched this year or before, but I've only tried them for the first time in recent weeks, but no other mascaras have gotten a look in. So behold two of the best budget mascaras I've tried in a long time, and are so good that I can't pick a favourite between the two. The Flormar Precious Curl Carbon Black Mascara and the Catrice Glam & Doll Boost Lash Growth Volume Mascara are new to me and were sent by the brands and for that, I and my lashes thank them kindly, because they're true love. After falling in love with the original Precious Curl mascara from Flormar a couple of years, I wondered how the Precious Curl Carbon Black would compare. It has the same thick, curved bristled brush that those aren't fans of plastic wands will enjoy, but it's still just as big, so care is needed because it's still easy to poke myself in the eye with it. In terms of results, the original Precious Curl and Carbon Black are pretty similar and the only difference I can see is with the application. It doesn't take as long to build up the length and volume with Carbon Black compared to the original. If we go back even further to 2016, you'll be able to see my first review of the Glam & Doll False Lashes mascara from Catrice and I bought so many of those tubes over the years, such was my love of it! They brought out a couple of different variations since, but none compared, until the Glam & Doll Boost Lash Growth Volume Mascara. 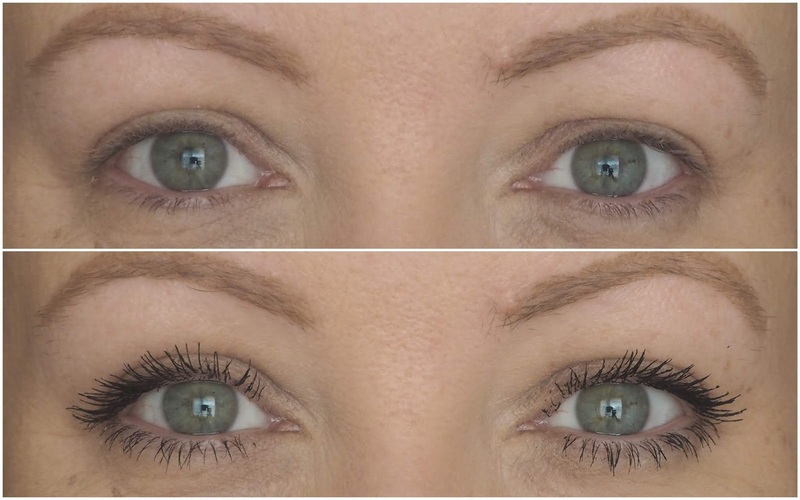 This is said to activate lash growth over six weeks and while I can't comment on that as I never took before photos of my lashes back then to compare, what I can say is that as a regular mascara, it's brilliant. It has a small plastic wand that makes it easy to reach all of the lashes easily, both top and bottom and does a great job of layering the product on while combing through the lashes too. 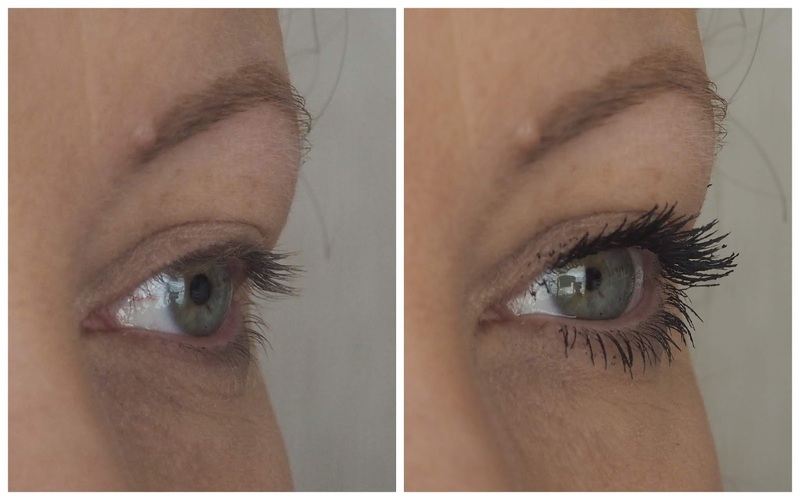 I thought I'd do a bit of a different comparison this time, and have one mascara on each eye, so you could compare them to bare lashes and to each other too! On the left is the Flormar Precious Curl Carbon Black Mascara and on the right is the Catrice Glam & Doll Boost Lash Growth Volume Mascara. You can see that they're pretty close to each other in terms of finish and I'd say I could easily go about my days with one on each eye and nobody would notice! In terms of the formula, the Flormar one is slightly dryer than the Catrice one, and so it gives a slightly more fanned out effect. The Catrice one doesn't clump by any means, but because it's slightly wetter, it just gives slightly less volume, and I mean slightly. You can see what I mean in the photo below where I'm looking up. And you might not be able to tell the difference, but as a mascara connoisseur, I see everything! I'll note that neither of them clump on me, they don't smudge or flake and stay put all day. Now I powder under my eyes every day no matter what, so that's worth remembering if you have issues with mascaras smudging under your lower lashes. That usually happens when the product comes in contact with the oils on your skin, so by me powdering there, that takes care of that. 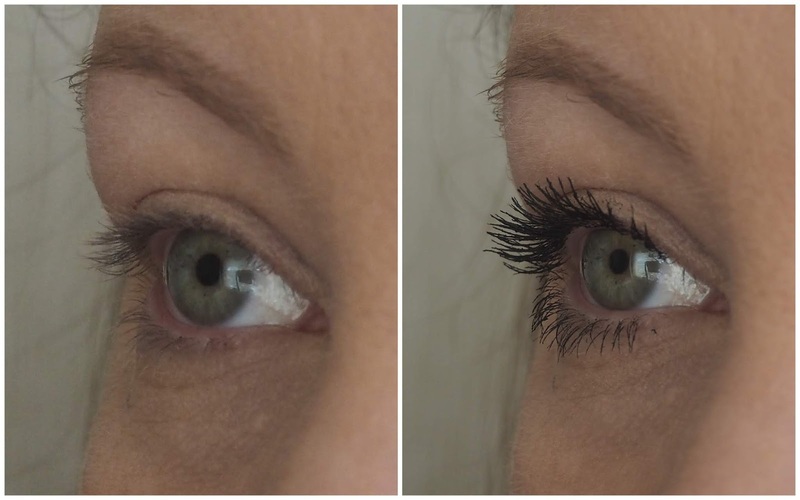 Above is the Flormar Precious Curl Carbon Black mascara and you can see how much curl and lift it gives to my poor little lashes! And the same goes for the Catrice Glam & Doll Boost Lash Growth Volume Mascara below. It doesn't look as curly or as lifted but that's just because I'm not looking up as high. The Flormar Precious Curl Carbon Black is €9.99 and is available in selected Penneys and selected pharmacies nationwide and the Catrice Glam & Doll Boost Lash Growth Volume Mascara is €5.50 and is also available in selected Penneys and selected pharmacies nationwide. Which is your favourite of the two?